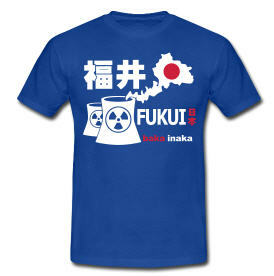 During his stay in Japan, unable to find a suitable souvenir Fukui t-shirt, Sam decided to create his own. 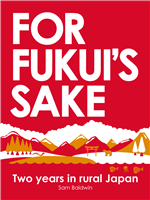 The design was the centre of some controversy, and went on to become extremely popular with local Japanese and ex-pats alike. 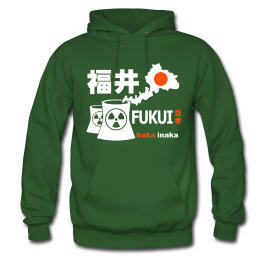 The ‘baka inaka’ and ‘I love inaka’ designs are available as t-shirts and hoodies in a range of colours. 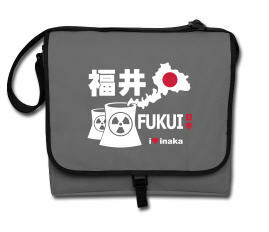 Read more about the concept and the story behind the design at BakaInaka.com. Shipping to the USA, Canada, Japan, Australia or NZ? Shipping to the UK or rest of Europe?